Donna M. Carroll of Allegan, formerly of Otsego, passed away Sunday, March 30, 2014, at Briarwood Assisted Living in Allegan. 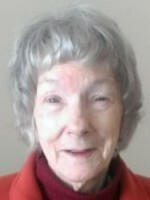 She was born May 18, 1932 in Allegan, to Ivor and Ruth (Coppock) Coburn. Donna was a 1950 graduate of Allegan High School and for 19 years was a nurse’s aide at Alamo Nursing Home. 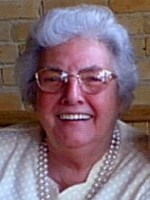 In her leisure time she enjoyed bowling, reading and doing crossword and jigsaw puzzles. Donna was a very talented seamstress who adored children and loved cats. Surviving are her children, Mary Louise (Frank) Carroll-Bylo of Plainwell, Patricia (Keith) Dillon of Hopkins, Daniel (Mary) Carroll of Plainwell and Marcia (Robert) Willover of Allegan; 13 grandchildren; 22 great-grandchildren; her siblings, Beverly “Cobe” (Mary) Coburn of Otsego and Mary (Ray) Gingrich of Oscoda; many nieces, nephews and cousins. She was preceded in death by her parents. Friends may visit with Donna’s family Wednesday, April 2, 2014 from 9 A.M. at the Winkel Funeral Home, Otsego, until the time of the funeral service at 11:00 A.M. Celebrant Tim Marsh officiating. Burial will follow at the Hudson Corners Cemetery. Contributions in memory of Donna may be made to the Alzheimer’s Association. Donald passed away Saturday, March 15, 2014 at his home. He was born November 17, 1940 in Plainwell to the late Bernard “Speed” and Hazel (Parker) Holmes. A lifelong resident to the area, “Donnie” graduated from Otsego High School in 1959. He served his country in the U.S. Navy and was a member of the V.F.W. Post #3030, the American Legion Post #84 and the Moose Lodge #365. Don prided himself on his expertise in operating and repairing heavy equipment and was employed for many years by Operating Engineers Local 324, retiring in 1998. He was known for his devilish smile and his love of motorsports, particularly NASCAR. In his younger years, he raced everything from cars to boats, and later enjoyed watching his son Jeff compete at the BMX track. His leisure time involved slower-speed activities like bowling, fishing and reading. One of Don’s proudest accomplishments was raising his youngest son David alone to be a very nice and responsible young man. Surviving are his children, David Holmes, Traci (Rich) Walker, Jeff Holmes, Tami (Bob) Currie, and Jay Woodward; grandchildren, Matthew (Sara) Currie, Heather Currie, Nick, Josh and Leah Walker; sisters, Joyce (Daniel) McClellan and Carol (Ronald) Lovelace; many nieces and nephews. 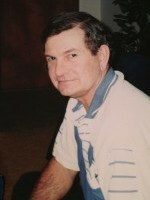 Cremation has taken place and a memorial luncheon is scheduled for Sunday, March 23 at 1 PM at the V.F.W. Post in Otsego. Burial of ashes will take place at Fort Custer National Cemetery in Augusta on a later date. Contributions in memory of Don may be made to the American Heart Association. Thelma M. Keeler, age 91, of Plainwell, departed this life on March 16, 2014. She was born in Martin, MI on August 15, 1922 to Wayne and Ina (Henson) Rantz, the youngest of 5 children. 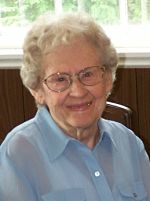 She lived in Martin for several years before moving to Plainwell, where she graduated from Plainwell High School in 1941. She married Bob Keeler on August 31, 1946. He preceded her in death in 2005. They lived many years in Cooper before moving back to Plainwell in 2003. They were active long time members of the Cooper Congregational church. They had 3 children; Tom (Barb) of Granger, IN, Brad (Chris) of Plainwell and Marsha of Grand Blanc, MI; five grandchildren and 9 great-granddaughters. Cremation has taken place. A memorial service will be held on Saturday April 12, 2014 at 11:00 A.M. at the Cooper Congregational Church with a lunch to follow. Memorial contributions in memory of Thelma may be made to the Cooper Congregational Church, 8071 Douglas Ave., Kalamazoo, MI 49009 or to the charity of your choice. Irene June Ciesielski of Plainwell, Michigan passed away Sunday, March 16, 2014 at Life Care Center of Plainwell. She was born June 3, 1928 in Kalamazoo, MI to Albert and Elizabeth (Vermulen) Nuyen. Irene graduated from Plainwell High School in 1947. In 1955 she was married to Floyd “Pete” Ciesielski and they enjoyed life together until Pete’s death in 1976. Irene worked for Michigan Bell Telephone for 17 years, retiring in 1974. Following her retirement she worked for the DNR field office in Plainwell for several years then as an office manager for KalPak Inc. for 14 years, retiring in 1993. She loved golfing, fishing and bowling and was an active member of 12th St. Baptist Church. Surviving are her son, Michael “Mick” Ciesielski of Mattawan; her granddaughter, Aimee Lee (Brad Herrington) Fultz of Plainwell; great-grandchildren, Alex and Emma Herrington and several nieces and nephews. She was preceded in death by her parents; her husband, Pete in 1976; her son Dennis in 1994 and by her siblings, Hermina, Kathryn, Albert Jr., William and Bertha. Friends may meet with her family from 11 A.M. Wednesday, March 19, 2014, at the Winkel Funeral Home, Otsego, until the time of the funeral service at 12 noon with Pastor Thaddeus Stout officiating. Burial will follow at Hillside Cemetery, Plainwell. Contributions in memory of Irene may be made to Great Lakes Caring Hospice. Robert C. Higgs, 91, of Plainwell died peacefully Wednesday night, March 5, 2014 at Borgess Medical Center in Kalamazoo. Bob was born November 5, 1922, in Benton Harbor, the son of Edward W. “Ted” and Leona M. (Maynard) Higgs. He graduated from Plainwell High School in 1941 and married his high school sweetheart, Ruth Mary Walker, on May 9, 1943 in Plainwell. He served his country during World War Two as a radio technician in the Army Air Corps. Following the war he took up his father’s trade as a photoengraver, and together, along with Ruth, they founded Ace Engravers in Plainwell in the early 1950’s. Bob and Ruth later sold the business, and their home, and moved to Pine Lake. In 1991, they moved to Florida, where they both discovered golf for the first time. Bob returned to Michigan following Ruth’s death and was fortunate enough to find love again, and in 2007 married Patricia (Thomas) Lesterhouse. He has made his home for the past two years with his son, Jim, and his wife, Suzanne. Bob was preceded in death by his parents; a brother, Sgt. William E. Higgs, who was killed in the war in 1943; his wife, Ruth, in 2003, and his second wife, Patricia (Thomas) Higgs in 2013. He is survived by his son, James R. “Jim” Higgs (Suzanne,) three grandchildren: Robert E. Higgs (Lynn,) Dianna Stampfler, and Katelyn Kenitz; five great-grandchildren; his sister, Betty Orr, several nieces and nephews and a former daughter-in-law, Sue E. Higgs. Cremation has taken place and a graveside service will be held Saturday, April 19, 2014 at 2:00 P.M. at Hillside Cemetery in Plainwell. Contributions in memory of Bob may be made to Wings of Hope Hospice or Otsego V.F.W. Post #3030. 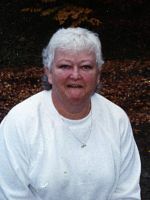 Judith Ann Howrigon-Peckens of Otsego, Michigan, passed away Wednesday, March 5, 2014 at Tendercare of Kalamazoo. She was born October 19, 1940 in Galien, MI to Gerald and Esther (Truhn) Noggle. For many years she had been employed as an LPN at Life Care Center of Plainwell. In her leisure time she especially enjoyed cooking and baking. Surviving are her husband, John Peckens; her children, Kelly Trevino, Lori Howrigon and Brett Howrigon, all of Otsego; grandchildren, Nichole Trevino and Kasey Trevino; and two great-grandsons, Jacob Ray and Jaxon Ray; a brother, Wayne (Rika) Noggle; several nieces and nephews. She was preceded in death by her parents and by her brother, Elwyn Noggle. Friends may meet with her family from 2 to 4 and 6 to 8 P.M. Monday, March 10, 2014, at the Winkel Funeral Home, Otsego, where a funeral service will be held at 11:00 A.M. Tuesday, March 11, 2014, with celebrant Bill Rose officiating. Burial will be at Mountain Home Cemetery, Otsego. Mrs. Reba E. Braswell of Plainwell, Michigan, passed away Tuesday, March 4, 2014 in Kalamazoo. Reba was born June 30, 1932 in Otsego, the daughter of James W. and Geneva M. (McClain) Clark. 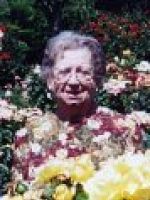 She was a 1950 graduate of Otsego High School and attended the Moody Bible Institute for 2½ years. Reba was a medical transcriptionist and worked several years at Pipp Community Hospital. She attended Oak Grove Bible Church and later the Cooper Baptist Church. On November 24, 1970, she married Asgill B. Braswell and he preceded her in death in 1994. Also preceding her in death were 2 brothers and 4 sisters, Melvin and Carl Crouse, Patricia Vandeville, Nova VanBaalen, Dorothy Martin and Ethel Tripp. Surviving are many nieces and nephews. Friends may meet from 10 to 11am Friday, March 7, 2014, at the Winkel Funeral Home, Otsego where a funeral service will be held at 11:00am Pastor David Ives officiating. Interment will be at Fort Custer National Cemetery, Augusta, MI. Memorial contributions may be made to Oak Grove Bible Church.